Works on electronic organizer touch screens or paper. 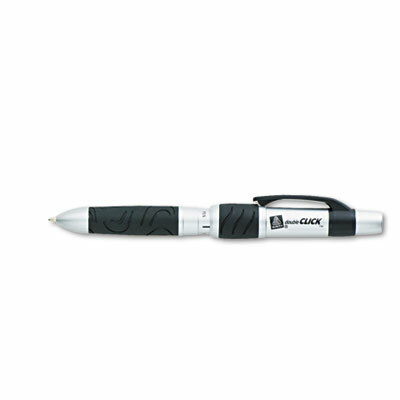 Multifunction writing instrument features stylus, ballpoint pen, and mechanical pencil for all your writing needs. Ideal for electronic organizer touch screens as well as old-fashioned paper. Viewing window allows you to navigate easily when selecting the desired function. Ergonomic design and soft rubber grip reduces writing fatigue.